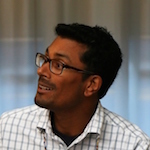 Vinothan Naidoo is a Senior Lecturer in Public Policy and Administration at the University of Cape Town. He is a key contributer to ESID’s research on education in South Africa. What made you want to work in development research? During my graduate research, ‘development studies’ held a certain idealistic allure, of being a part of efforts to tackle the world’s major developmental challenges, such as poverty, hunger, literacy and governance. But, I eventually found myself in the research end of development work – versus the more active/on-the-ground/advocacy end. Sixteen years later, I have come to appreciate how complex and valuable researching developmental problems can be for sincere efforts aimed at solving them on the ground. What’s the current focus of your research? My research and teaching focuses on the institutional design and internal processes of the public sector, or public administration. I am particularly interested in investigating how the public sector can play a developmental role, and have had the privilege of researching this across various policy areas. Often the most interesting aspect of doing this research is identifying those obstacles that mitigate against the efforts of public sector institutions to make positive developmental impacts. 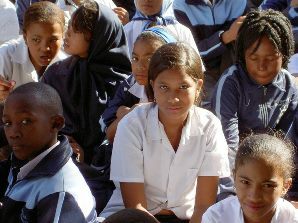 What do you think are the most important findings from your work on education in South Africa? The most important finding is the dramatic extent to which governance arrangements at and between multiple levels of delivery, from national down to school level, can often scupper the educational impact of the sector. What is one change you most want to see happen in the development of education? I would most like to see schools in general, and school leadership in particular, be given the freedom and flexibility to forge a common ethos of success together with, but also accountable to, committed governing bodies. Getting the governance formula right at the school level is crucial to the success of the sector. Between my work as an academic and my role as husband and father of two young children, spare time is hard to come by! But, if I can carve out some personal time, I tend to spend it catching up on global news and current affairs, or spending leisurely long weekends away with my family at the many beautiful spots the Western Cape has to offer. Cameron, R. and Naidoo, V. (2016). When a ‘ruling alliance and public sector governance meet: Managing for performance in South African basic education. ESID Working Paper 60. Levy, B., Cameron, R., Hoadley, U. and Naidoo, V. (2016). The politics and governance of basic education: A tale of two South African provinces. ESID Working Paper 67. Kota, Z., Hendricks, M., Matambo, E. and Naidoo, V. (2017). The governance of basic education in the Eastern Cape. ESID Working Paper 83.